What can you do with a bunch of buttons and a few resistors? 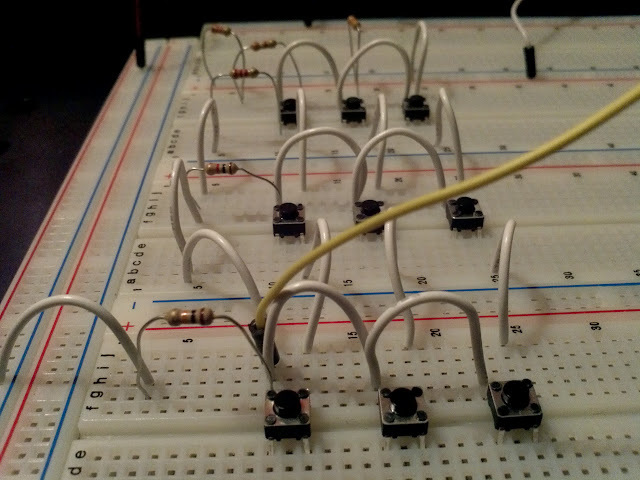 How about a keypad for your next microcontroller project. 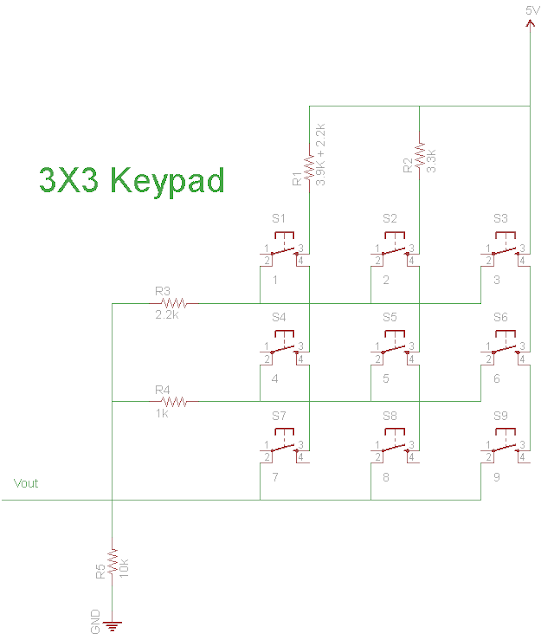 The following is a 3×3 keypad that could easily be extended to more keys, when a button is pressed the resistors in that button’s column and row form a voltage divider with the 10k resistor below. The cool thing about this keypad is that it would only require one pin of a micronctroller. 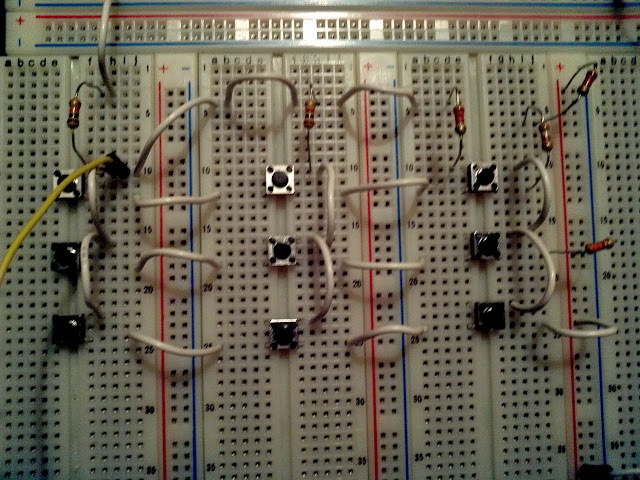 The output (Vout) is taken at the 10k resistor. The output can then be fed to a microcontroller A/D or any other circuit that can read different voltages, because each button produces a unique combination of resistors the output will be different for every button. In my original design I had a 6k and 2k resistors, these were replaced with 3.9K and 2.2k and 2.2k respectively because I did not have 6k nor 2k in my resistor box. A picture of the circuit in real life is shown below. Using a 10bit A/D converter the output of this keypad is the following. If you want to implement this keypad in a microcontroller connect its output to an analog pin of the micro and use the following conditions in a function to differentiate the keys, note that I left more margin for possible errors from the readings above. How can we improve this circuit? leave your comments or questions below.